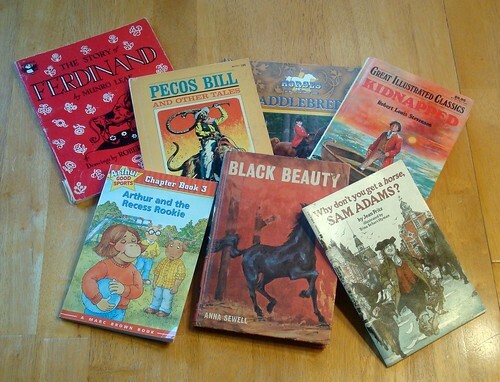 Children’s books photo by Svadilfari via Creative Commons/Flickr. A few Orca K8 parents have started a summer reading club that will meet in both the Beacon Hill and Columbia City Libraries over the summer. Schedule is below. Meeting times will be in both the morning and evening, 2 times a month. Our primary goal is to provide a space for friends — old and new — to gather and read together!! Our secondary goal is to provide a place for Orca parents to read with kids who may be struggling and will benefit from extra summer reading help. The Reading Club is not officially sponsored by Orca K-8 or by the Seattle Public Library. We are just a few moms of Orca kids who love reading, and love our children. Many of us have spent time in the classroom reading with our kids’ classmates, and we want to continue supporting them throughout the summer. We also want to keep up the culture of reading that our fabulous Orca educators have instilled in our kids! Since the moms starting the reading club are moms of incoming 2nd graders, many of the readers will be that age. However, older and younger siblings will also be there, all reading together. Students will be reading together in groups or by themselves, and Orca parents will be there to help emerging readers. We will keep track of the books we read on the SPL Summer Reading program chart, and after 10 books the library will give us a prize! Prizes from SPL will include a book and entries into a raffle for a lunch with the mayor! All kids are welcome, from all schools and all grades. Please join us, and spread the word!